The relationship with both Cal Baptist and Washington State universities will be in full view again in 2019 for fans at Wilson’s Group Stadium at Royal Athletic Park (RAP). The HarbourCats are pleased to announce that two more Cal Baptist players — including returning infielder Harrison Spohn — will be on the roster, joining previously announced outfielder Nick Plaia. Spohn, 6-3/190, a sophomore from Uplands, CA, last year’s player-of-the-year in Plaia, a junior from Santa Clarita, and left-handed pitcher Mason McGarvey, a freshman from West Covina, will represent the Lancers with Victoria this summer. McGarvey is 6-3/190 with a heavy fastball, and is expected to be in draft discussions when his third year of NCAA-Division 1 baseball is under way. 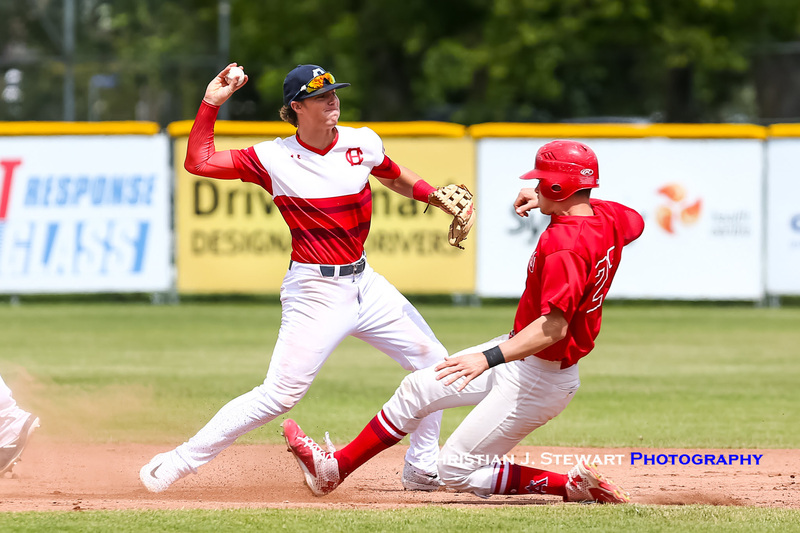 Victoria shortstop Harrison Spohn tries to twist the double play against Kelowna in 2018. 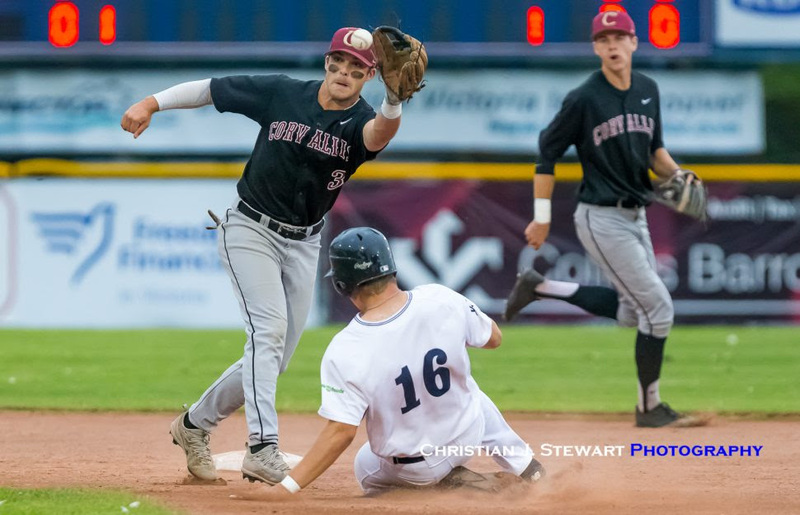 Spohn will be back in a HarbourCats uniform in 2019 (Photo: Christian J. Stewart)[/caption]Due to arrive from Pullman, WA, home of the Washington State Cougars, are three players — outfielder-catcher Koby Blunt, and right-handers Connor Barison and Trevor Ichimura. Blunt, a freshman from Asotin County in Washington who can also pitch, is 5-11/166 and was MVP of his high school league. Barison, from Redmond, WA, is a 6-4/183 arm known for swing-and-miss stuff. Ichimura is from Iolani HS in Mililani, Hawaii, continuing the history of Hawaiian players developing with the HarbourCats. 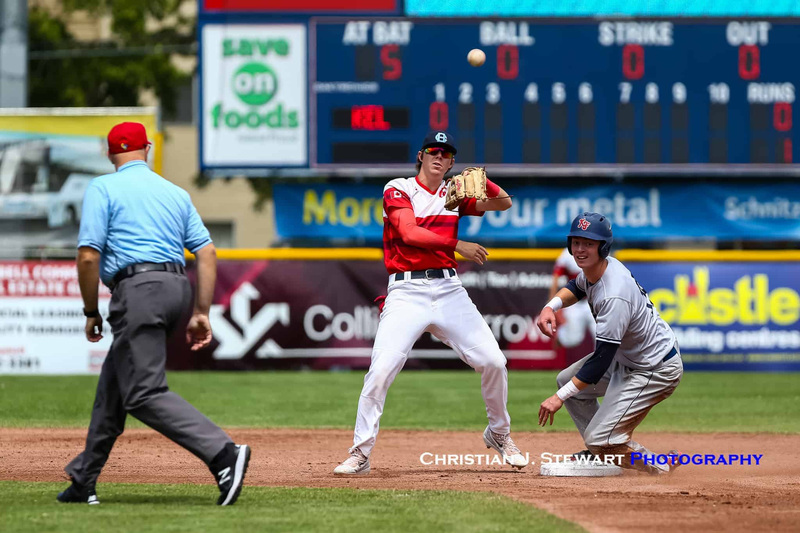 The HarbourCats will open the 2019 West Coast League season, their seventh in the WCL, with a three game series against the defending champion Corvallis Knights, beginning on June 7, 2019. Full details HERE.